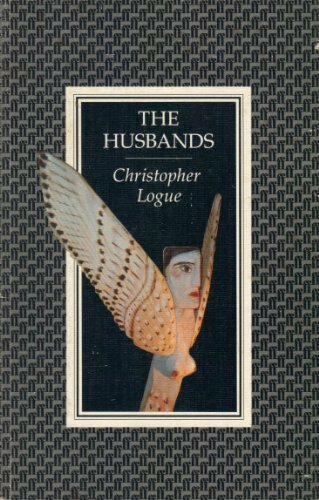 Christopher Logue (1926 - 2011) spent over forty years working on his contemporary version of Homer's Iliad. Begun in 1959 the project expanded into five full-length collections, known collectively as War Music. 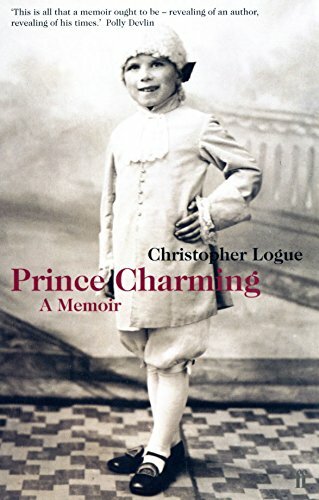 Born in Portsmouth, Hampshire, Logue was part of a post-war artistic milieu that encompassed friendships with Samuel Beckett and Henry Miller in Paris. As well as his poetry, Logue wrote for the theatre and cinema, including two screenplays one of which, Savage Messiah, was directed by Ken Russell, and he also appeared in front of the camera for the same director as Cardinal Richelieu in The Devils. For many years he contributed to the satirical magazine, Private Eye. 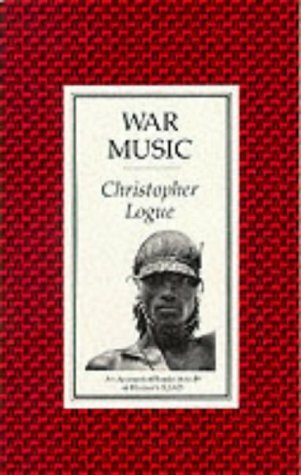 The various instalments of War Music have been highly acclaimed, being shortlisted for the 2002 International Griffin Poetry Prize, and winning the Bernard F O'Connor Award from The Paris Review. 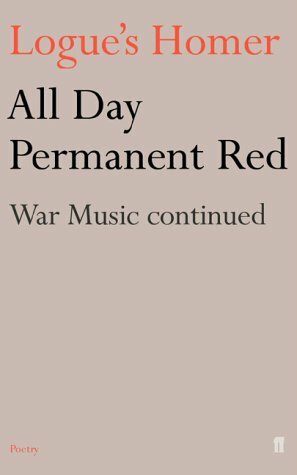 All Day Permanent Red is the fourth book in the War Music series, but deals with some of the early battle scenes from The Iliad. This non-chronological approach is typical of the freedom Logue allows himself in relation to his source material, changing or omitting episodes and sometimes inventing entirely new scenes. His approach to language is similarly non-literal, mixing traditional imagery with the jarringly modern as in his description of the death of a Greek soldier from an arrow wound that makes "a tunnel the width of a lipstick through Quist's neck." This visceral immediacy is evident in the structure of the verse which is informal and flexible, meeting the demands of the moment and capturing both the horror and exhilaration of making war. His style is cinematic, now tracking the action from a distance, now zooming in close-up to focus on vignettes within the chaos of the fight, like the death of "Bubblegum" who one minute is "out to make his name!" and the next is lying dead in the dust. In this shifting perspective, Logue is close in spirit to Homer where emotion is yoked to action and the gods are no better than ourselves, only more powerful. In this extraordinary reading, Logue brings the different characters thrillingly to life, sweeping the listener along on the bloody tide of action. However, he also knows how to change pace, as in the beautiful closing passage when we are given a god's eye view of the Western world, the culture of which Homer's epic has done so much to shape. His recording was made for The Poetry Archive on 10 January 2003 at The Audio Workshop, London and was produced by Liane Aukin. 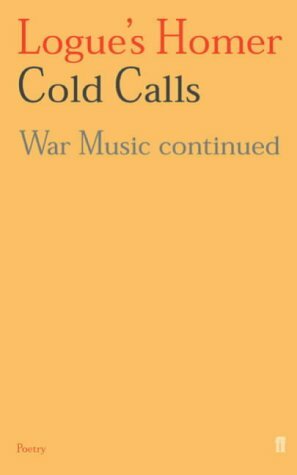 An extract from a fine recording of WAR MUSIC by the late actor Alan Howard.